CMD0404-03: 35-01-02 - SMDR Output Destination Number. 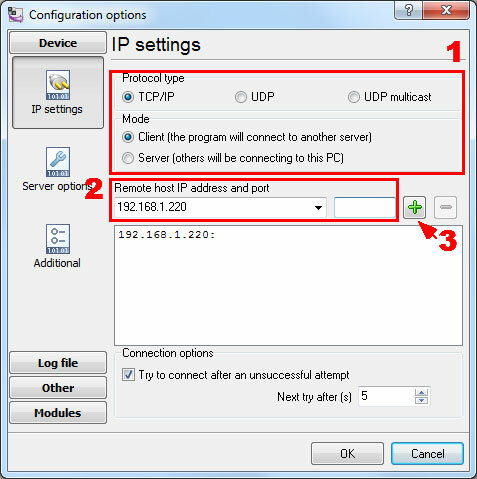 This option specifies the SMDR printer output port (CTA/CTU port number). 15-02-19 CTA Data Communication Mode - Select "Direct Print Mode" if the dip switches are set to printer connection (1-2=on, 3-8=off). Our software should work in the TCP client mode. It means that our software will initiate connection with the PBX and the PBX will work as a server. Add one or several PBX IP addresses here (the IP address of the Nitsuko DX2E). The port number should match the port that you have defined within the PBX (5555 in the example below).